Is there an efficient way to work out how many factors a large number has? 15 = 7 + 8 and 10 = 1 + 2 + 3 + 4. Can you say which numbers can be expressed as the sum of two or more consecutive integers? Helen made the conjecture that "every multiple of six has more factors than the two numbers either side of it". Is this conjecture true? 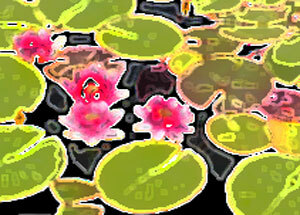 There are some water lilies in a lake. The area that they cover doubles in size every day. After 17 days the whole lake is covered with water lilies. How long did it take them to cover half the lake? Properties of numbers. Ratio. Integers. Multiplication & division. Patterned numbers. Number - generally. Creating and manipulating expressions and formulae. Fractions. Factors and multiples. Calculating with fractions.